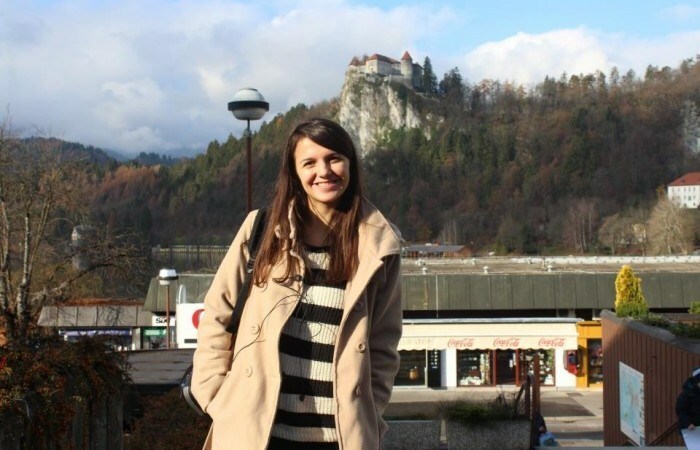 I am Adriana Sejfia, a senior student at American University in Kosovo, majoring in IT and Economics. Having been always interested in technology, I have held the position of social media assistant in Media Center at A.U.K. This position has helped me to broaden my horizon of technological understanding. Nonetheless, I see technology not just as an end in itself, but rather as a means to aid humanity to reach goals previously unattainable. This mindset brought me to the Digital Kosovo team. It was precisely as I imagined it, only more challenging and more time-consuming. The Digital Kosovo team was comprised of eager, young minds willing to go the extra mile for the betterment of Kosovo. Its mission being “Integrating Kosovo into digital world”, Digital Kosovo uses technology to try to persuade companies, institutions and organizations to add Kosovo to their countries’ list. Relying heavily in community contribution, Digital Kosovo team is a very comprehensive one. The duties and responsibilities range from devising marketing strategies to coding. I have been more focused in the marketing strategy of Digital Kosovo. Again, technology is deeply embedded in each phase of the project. All of the marketing is carried out through nowadays technologies, and special emphasis is put to social media. My job was to find ways in which technology could be optimized to attract more people to use our platform for sending emails. As all of the tasks involving Digital Kosovo, this too required a creative and informative approach. From the experience in Digital Kosovo I saw how important is the work ethics. Though a relatively small team, the synergy from the work of each of the members contributed to something much larger than each of us individually. It was crucial, however, for each of us to perform our tasks in timely manner, as we relied on each-other’s jobs. Despite being very self-fulfilling, the experience with Digital Kosovo has taught me one major lesson: when there is a will, there is always a way.